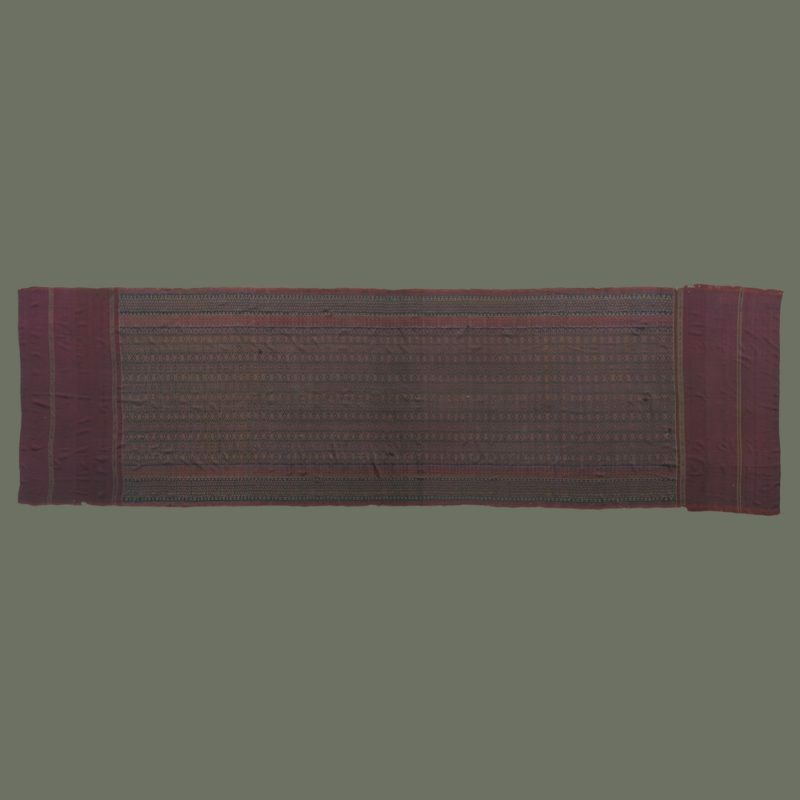 This skirtcloth is stiffer than most and it is probably due to starch on the threads. 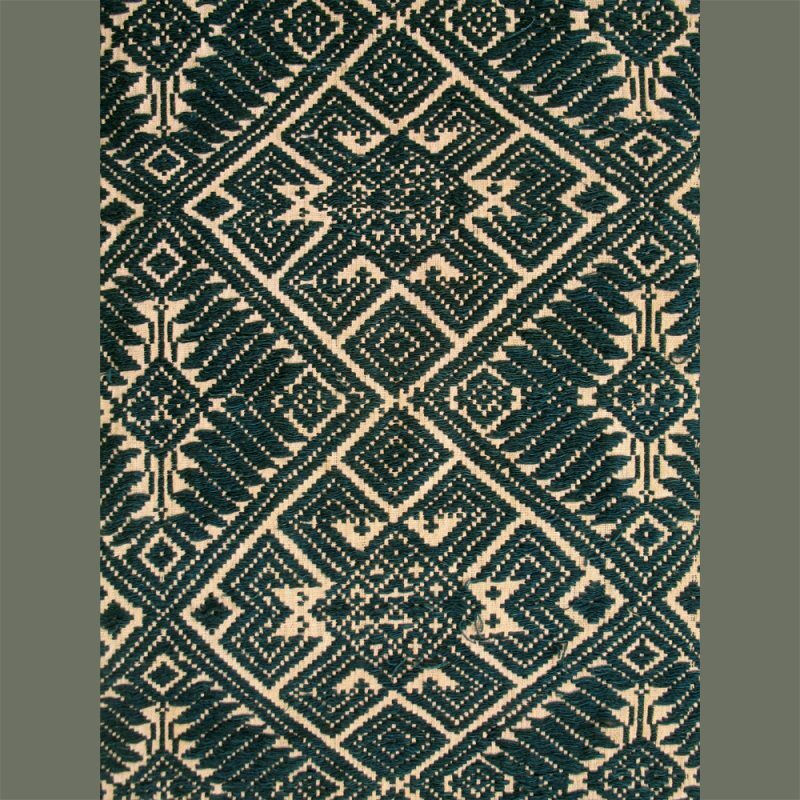 The warp is blue silk and yields a lovely bright blue accent in the center of the diamond motifs used in the pattern. 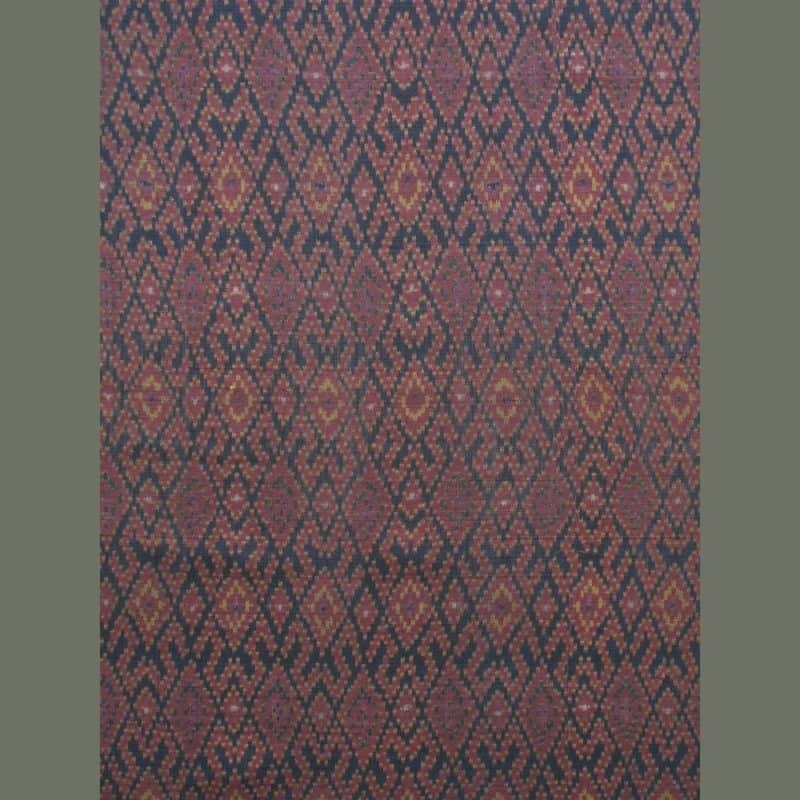 This is a more recent example of classic Cambodian ‘sampot’ and the pattern shows an updated version of the lattice and diamond motifs. It is, however, probably at least 30 years old, as modern examples do not even resemble the old ones. Condition is excellent, with only a few pinholes. Size: 74.25 in. x 34 in.